You know your business better than anyone. You’ve increased sales, cut costs, and boosted morale. You are probably even beating the competition. Your talent pool is deep. You’ve seen glimpses of great possibility in your organization. You’ve seen your team firing on all cylinders, but you can’t quite seem to consistently maximize that potential you know is right there. You know getting to that next level will take more than reconfiguring the org chart or leveraging core competencies. That’s where ShiftGear comes in. ShiftGear helps smart, engaged leaders see their work in new and more productive ways. We help leaders unlock the full potential of the organizations they’ve built. We do it without the normal trappings of consultants, major reorganizations, or IT system overhauls. We’ve all learned how to draw org charts and process maps. The problem with these static tools is they don’t guide you on actually getting the work done and resolving problems when they arise. 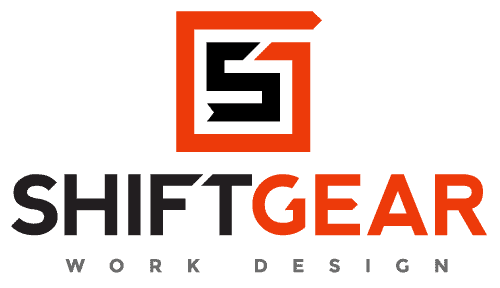 At ShiftGear, “Dynamic Work Design” gives us the dynamic framework and tools to make processes and people perform at their peak. ShiftGear has helped organizations improve in a multitude of ways. We’ve helped clients manage rapid growth, increase capacity in existing facilities, and speed the rate of technology development. We’ve helped organizations move products from lab to factory, improve patient care, and develop and implement strategic plans. We do so by helping clients design their work– both physical and intellectual – in better ways.